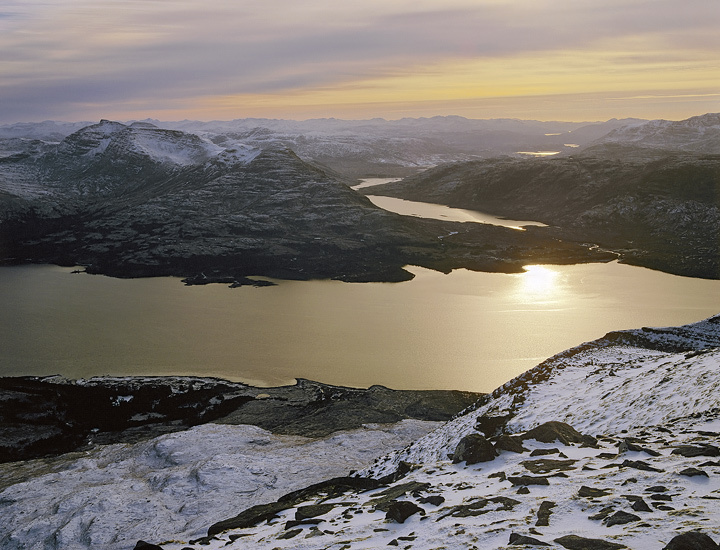 High on the top of a munro looking down at snow dusted Loch Torridon at sunset, up there you feel it is your own personal mountain kingdom. I was fortunate to be camping near the summit and with fair weather predicted for the morning I was convinced sunrise would be breathtaking. My suspicions were justified.